Tapp Room The concept behind the Tapp Room was simple – pair great food with great beer! As the craft beer craze continues to grow (especially locally), the Tapp Room will serve as a venue to showcase local craft beer on rotating taps. For those of you who have not accepted the imminent onslaught of craft beer, we will still support your loyalty to the staple domestics and imports! With that being said though, we encourage you to ask questions, try something new and provide feedback because the beer selection will be 100% determined by YOU, the customer. With a 30 tap system at our disposal, there should be something for everyone! Not a beer nut? Not to worry because our full bar will have what you need for your favorite cocktails as well as varietal wines. 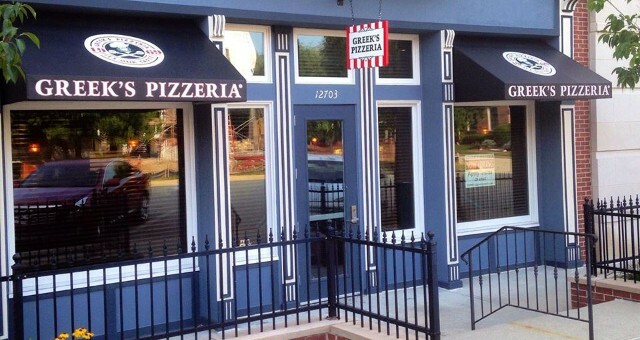 Greek's Pizzeria & Tapp Room now has delivery. Call us at 317-739-3900.